Tom Zaniello has been talking about Hitchcock ever since he saw the first episode of “Alfred Hitchcock Presents” on TV in the 1950s. Since then, he has taught several Hitchcock courses and organized Hitchcock film series at Hill Center. In addition to publishing a number of film studies books, he has also written a true crime book, “California’s Lamson Murder Mystery: The Depression-Era Case that Divided Santa Clara County.” Zaniello will be screening three films and discussing Hitchcock copy cats. 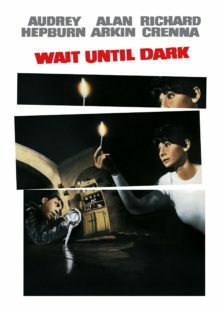 The wonderful Audrey Hepburn plays a blind woman besieged and assaulted by a gang of nasties led by a vicious Alan Arkin in “Wait Until Dark” (1967).